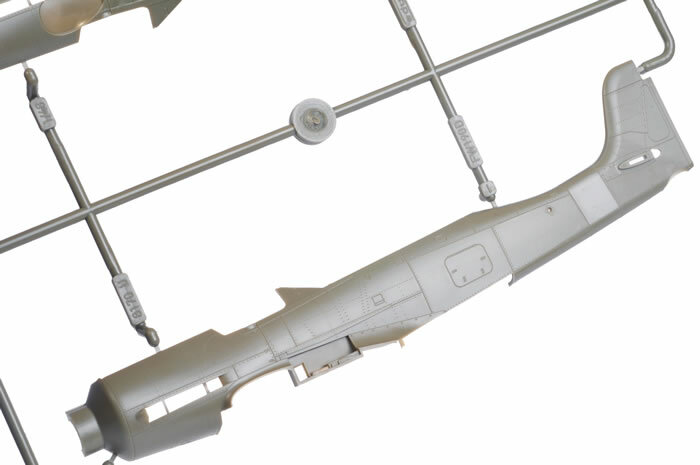 Advantages: Includes two full fuselages - one with the big tail and one regular (no inserts or separate tail parts required); high level of detail; restrained surface texture; straightforward parts breakdown; accurate see-through wheel wells with rear engine detail visible; useful options including alternate centreline fuel tank and bomb, closed or open cowl flaps, choice of main and tail wheels, flat or blown canopies; excellent clear parts with different sliding sections for open and closed options; optional open wing and cowl gun bays; perfect moulding; excellent quality decals. Disadvantages: Some questions about the lower wing centre section; missing reinforcement strips at upper rear of wing root. Conclusion: This is every bit as nicely detailed and accurate as Eduard's 2010 Fw 190 D-9, but with the added option of the late-war big wooden tail. Eduard has delivered a beautiful late-model Dora. Some time late in the war, a handful of the broad wooden tails of the Ta 152 were fitted to Focke-Wulf Fw 190 D-9s. There is photographic evidence of two of these machines - W.Nrs. 500645 and 500 647 - with records suggesting that a third such combination may have seen service with III./KG(J)27. Despite their rarity. 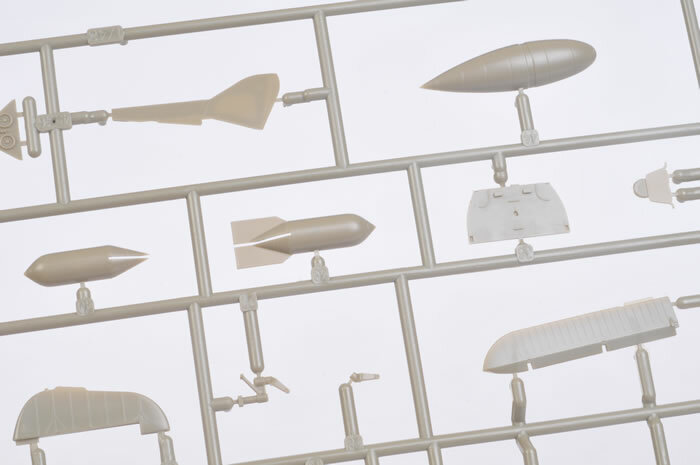 these hybrid airframes have held a fascination for Luftwaffe modellers. Now Eduard has made it easier for this fascination to be indulged with a dedicated late-war Dora kit that includes a full fuselage fitted with the big Ta 152 tail. 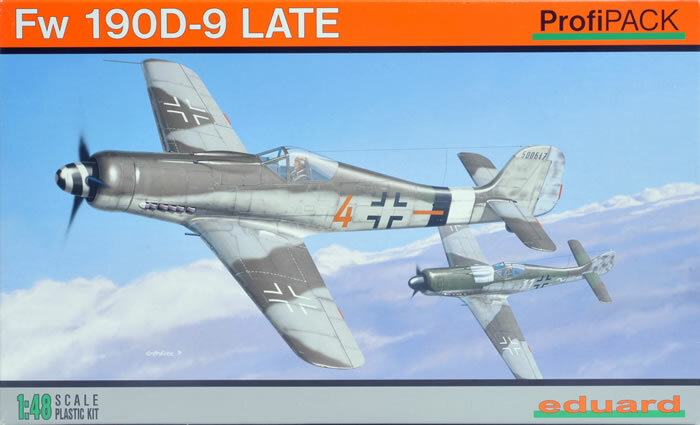 Eduard entered the 1/48 scale Dora market with their Focke-Wulf Fw 190 D-9 in January 2010. 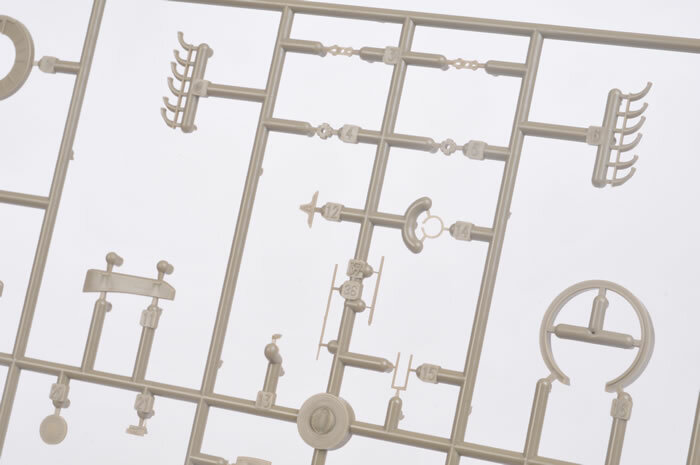 This went straight to the top of the class, with its main competition being the Tamiya kit (a simple build but with some outline problems); and the older Trimaster/Dragon/Italeri offerings, which are more accurate but less easy to build. 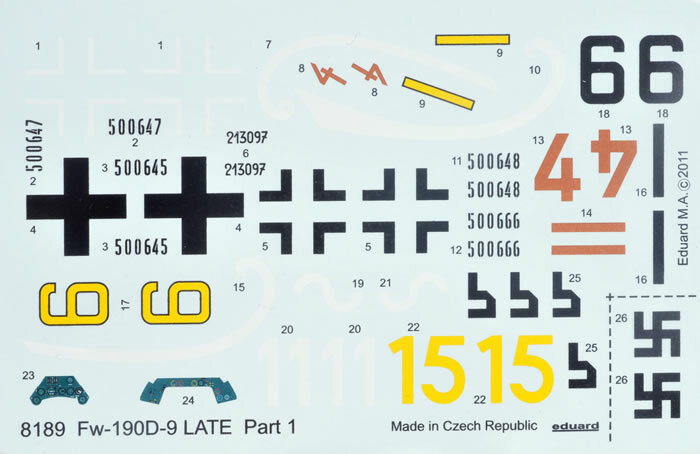 This kit is substantially similar to the first Eduard Dora release, but with the option of a second set of fuselage halves and five new marking options. 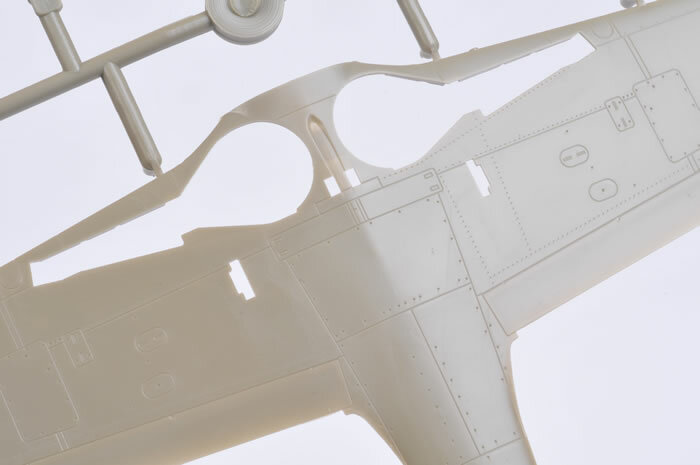 Eduard's new 1/48 scale Focke-Wulf Fw 190 D-9 Late Version comprises 138 olive coloured injection moulded plastic parts; 11 clear parts; 1 x coloured photo etched fret; a masking sheet for the canopy and wheels; and a large decal sheet covering five markings options. 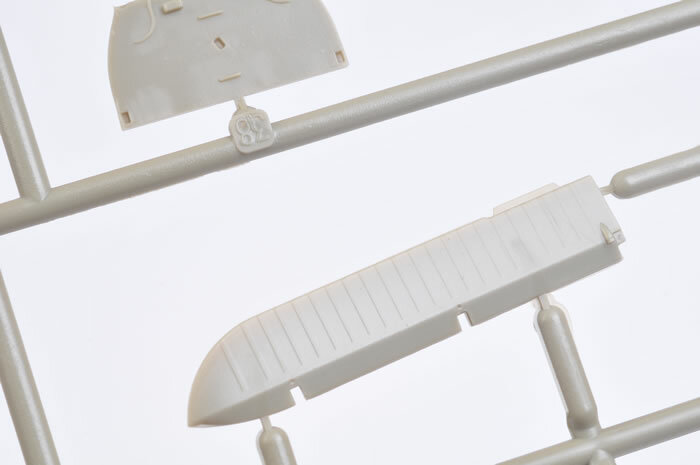 A brand-new sprue provides the two full-length fuselage halves with the Ta 152 fin moulded in place. 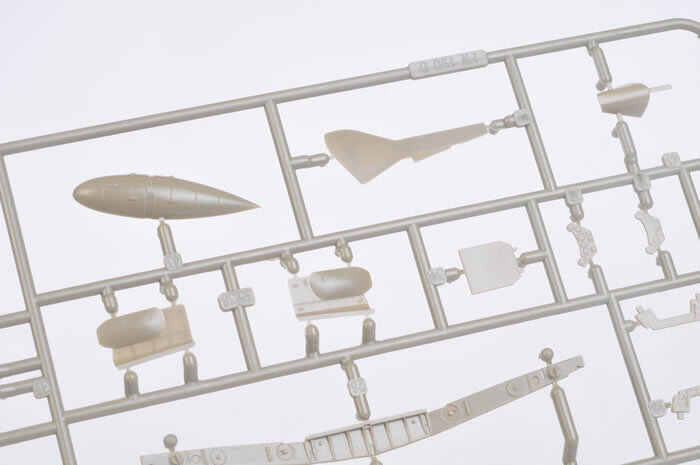 The regular fuselage halves are provided in the box too. Details are equally good. The cockpit is supplemented with the usual compliment of colour photo-etched parts including a layered instrument panel, switch panel and harness straps. 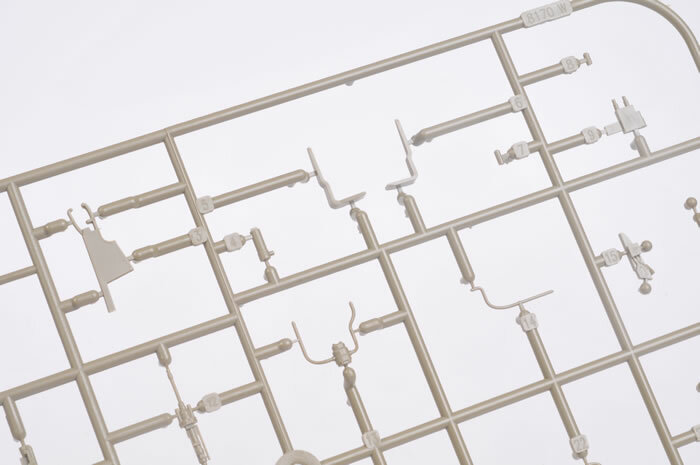 For those who prefer to paint their cockpit, an alternative (and very nicely detailed) injection moulded instrument panel is also supplied, along with instrument decals. 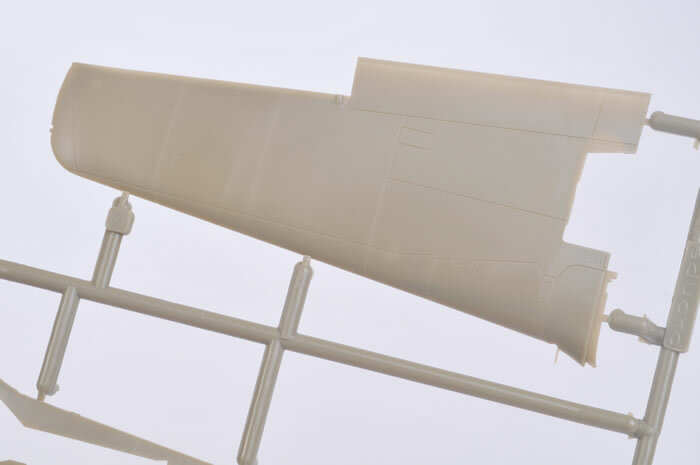 The wing is the same as the earlier D-9 release, so the forward centre section of the lower wing half is smooth in front of the shell ejector ports. 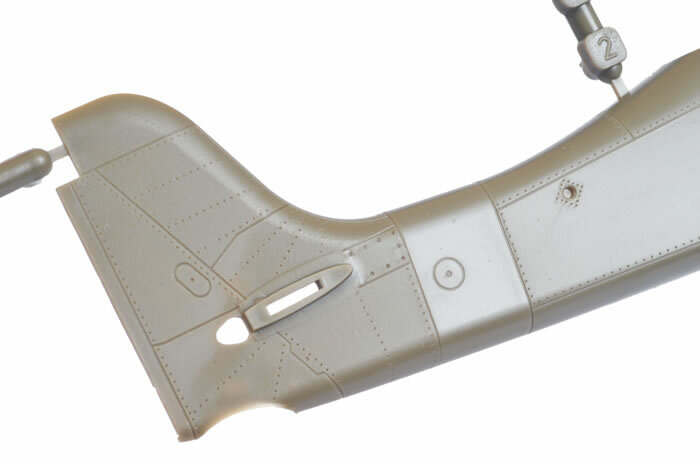 It has been suggested that this might have been a late-war configuration (similar to the D-13), but most Fw 190 D-9 references show this area to have a ramp back toward the shell ejector ports, and a wider/deeper recessed area. The decision on whether to modify this area is entirely yours! 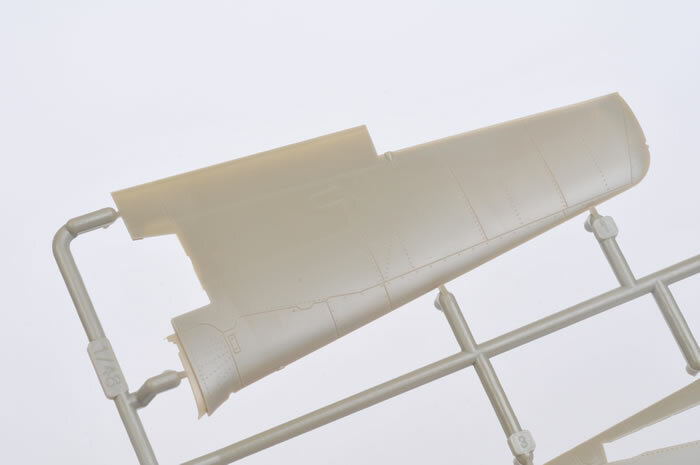 Another minor omission is the small reinforcement strip on the join between the fuselage and the wing at the trailing edge of each upper wing root. 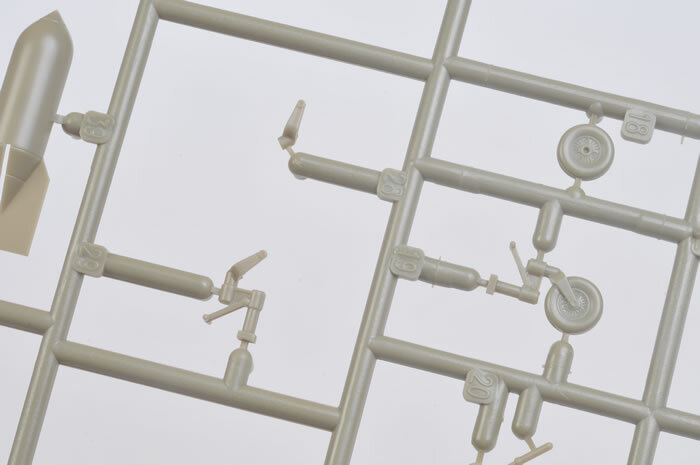 This will be very easy to add from thin scrap plastic strip. The exhausts are supplied in one-piece each. The narrow ends are not hollowed out. 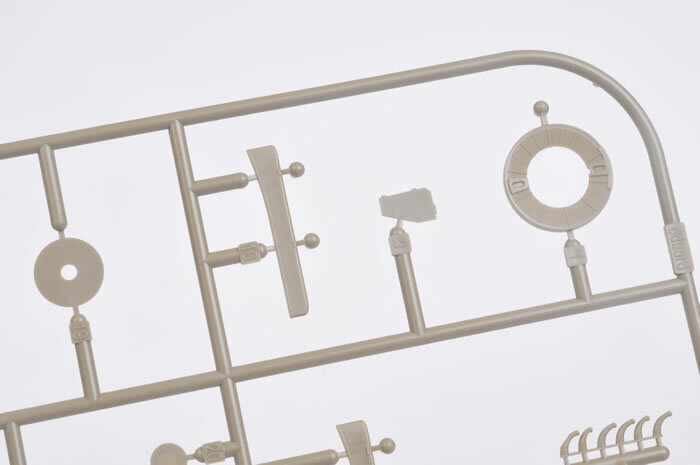 The more recent three-piece tail wheel assembly with a separate wheel reappears here, but the simpler one-piece assembly is also provided. 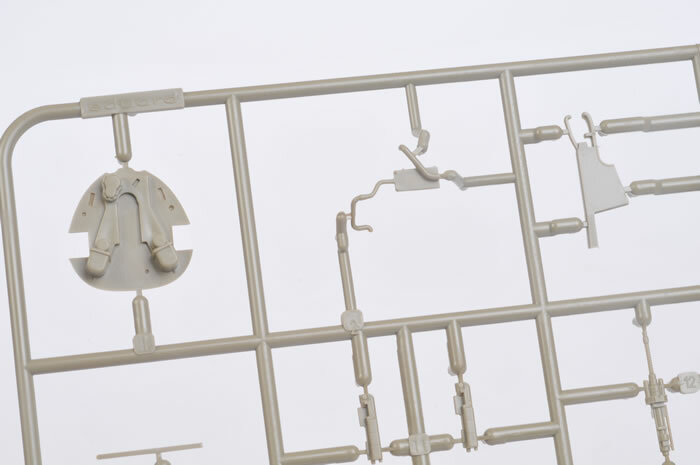 The canopy parts are crystal clear and thin. 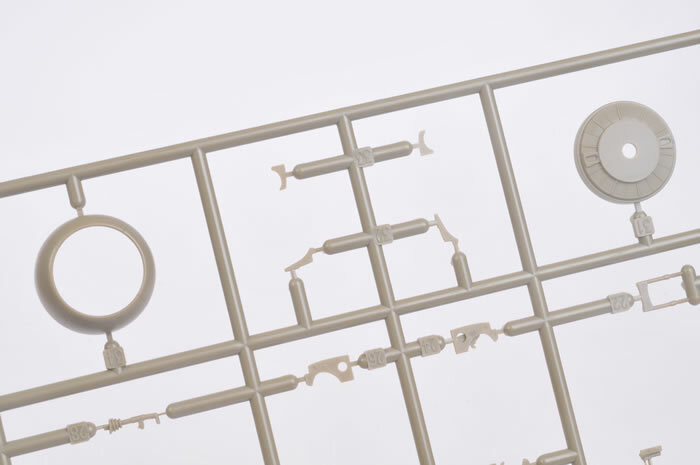 Separate parts are supplied to permit the sliding canopy to be displayed open or closed. 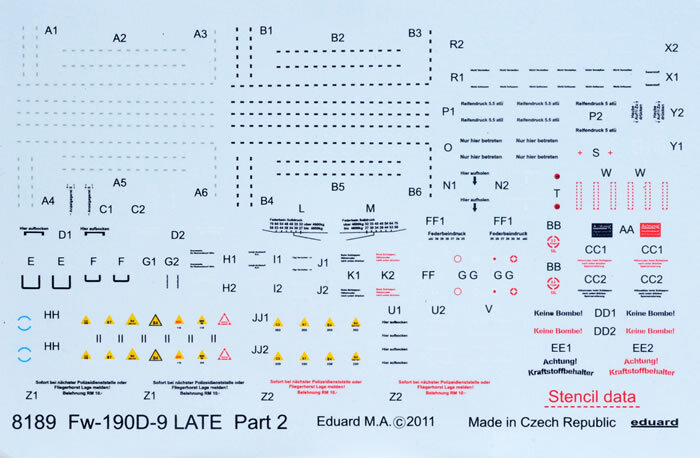 Parts are provided for the blown and flat hoods, although only the blown hood is required for the five marking options on the decal sheet. All marking options are variations on the (relatively) chaotic application of late-war Luftwaffe camouflage. In my opinion, the most interesting is Brown 4, with its interpretation of RLM 81 and RLM 76 upper wings and RLM 81 underneath as well. 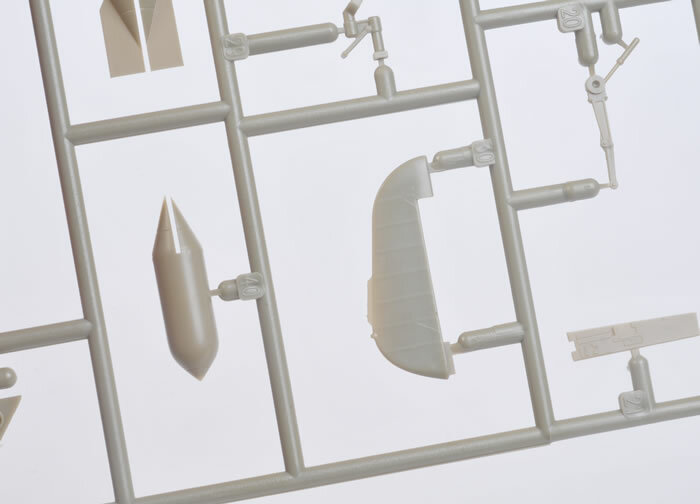 The addition of the new fuselage halves with the big Ta 152 tail makes the kit even more attractive and verstile. 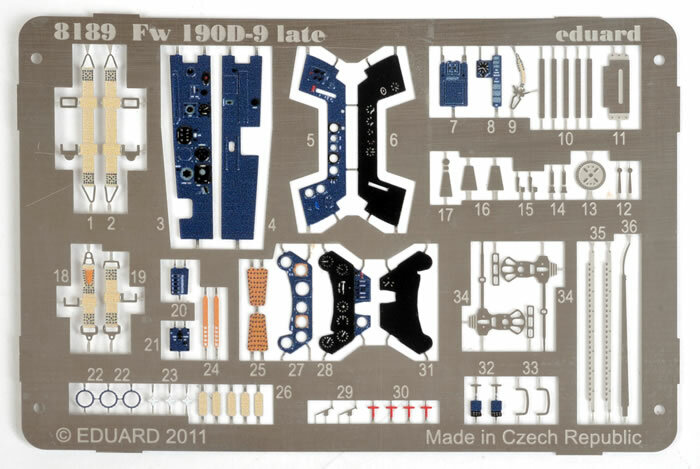 Eduard's 1/48 scale Focke-Wulf Fw 190 D-9 family should be straightforward to build, is more accurate than Tamiya's kit and better detailed than Dragon' counterparts. With the inclusion of colour photo-etched parts and its attractive Cartograf decal sheets, Eduard's Dora looks like great value for less than USD$40.00 too.